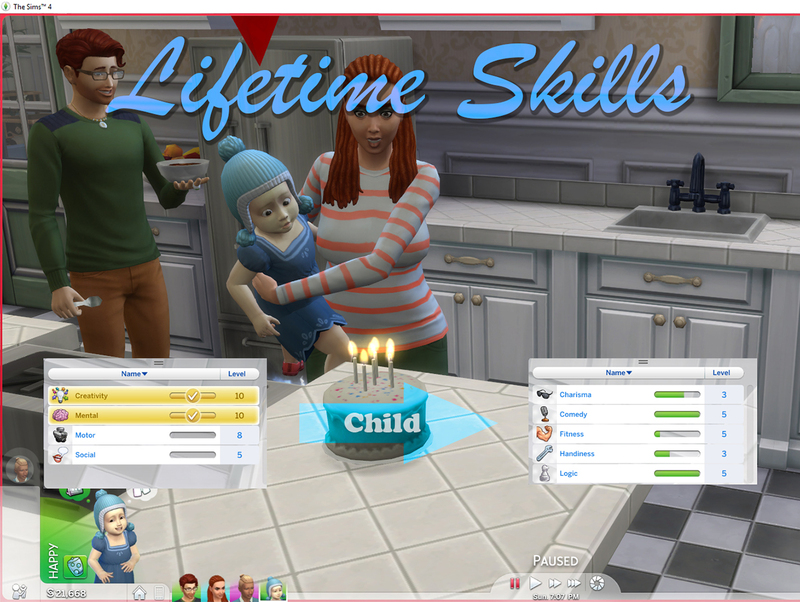 Mod The Sims - Lifetime Skills: Toddler and Child Skills that carry over! Wanting childhood skills that are actually worth something on your birthday? 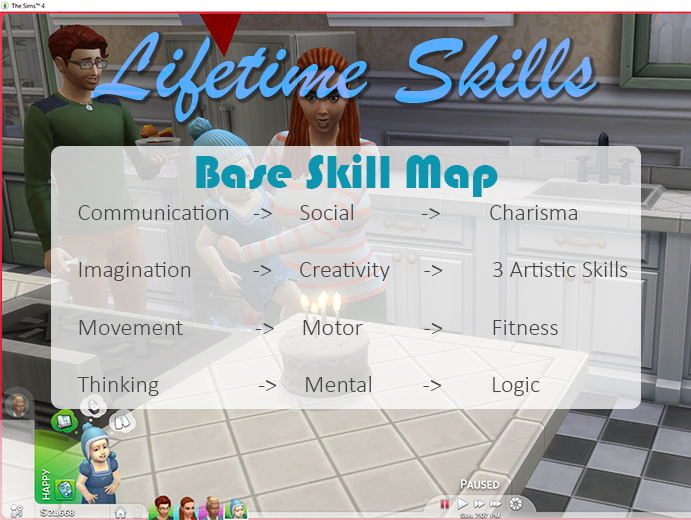 This mod carries skill experience over to give you a head start on their next age equivalents! Happened to max that Potty skill on your toddler? Enjoy the steel bladder trait on your next birthday. No longer will you work hard to become the smartest kid in school only to magically become completely ignorant when you blow out your candles. On top of that, if you manage to max both the mental and the creativity skills as a child, you'll enjoy a bonus boost to your Handiness skill as a teen! Now updated to more accurately reflect experience earned as a toddler. 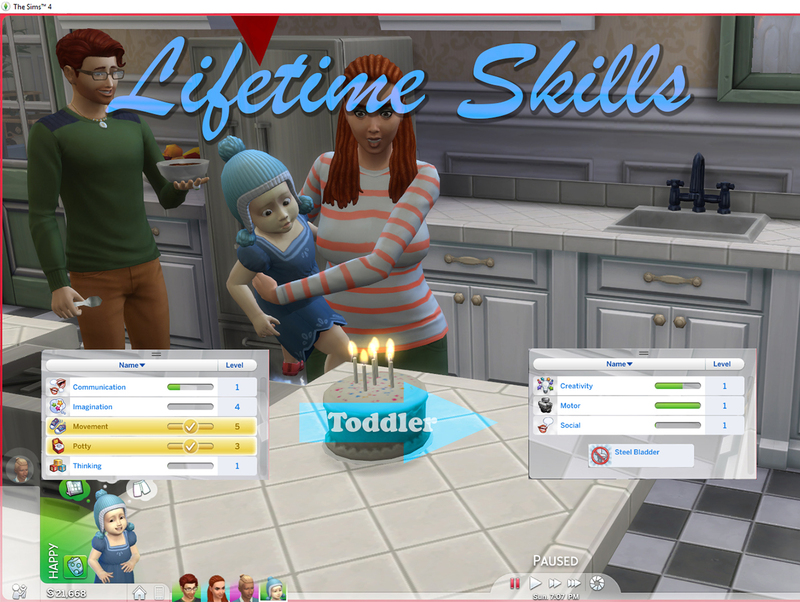 You'll enjoy an additional XP bonus if you manage to max all toddler skills. Thanks to everyone for their feedback! I have changed the Child Creativity skill to now give you experience shared across the three artistic skills: Writing, Singing, and Painting. In addition, if you manage to max creativity as a child, you'll receive an extra XP boost to one of the artistic skills, picked at random. If you happen to have an artistic skill as a child already, like singing, the experience will be added to your current skill level. This is a script mod. 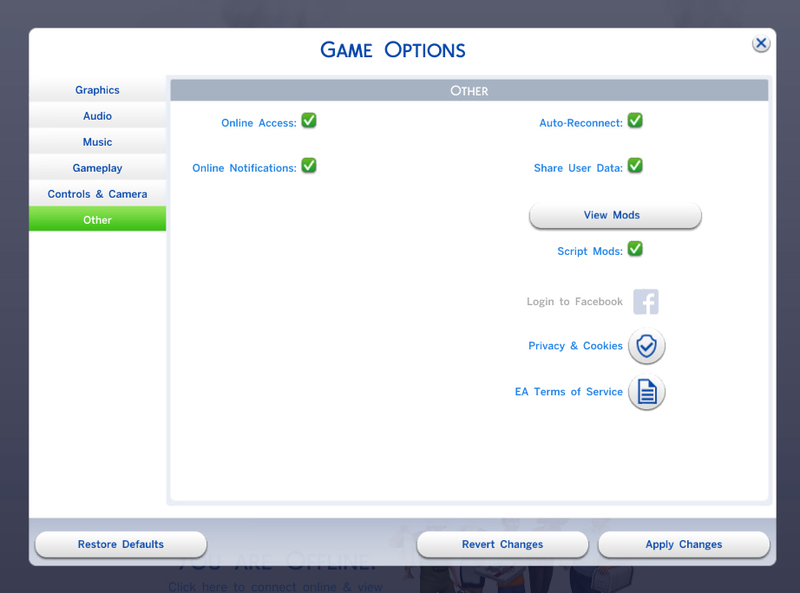 To install, please open the download and drag the .ts4script file directly to your Mods folder. Tmex-LifetimeSkills-NoSteelBladder.zip | Description: Alternative for those who prefer playing without the steelbladder reward. Maxed potty skill will not translate to that trait in this version.